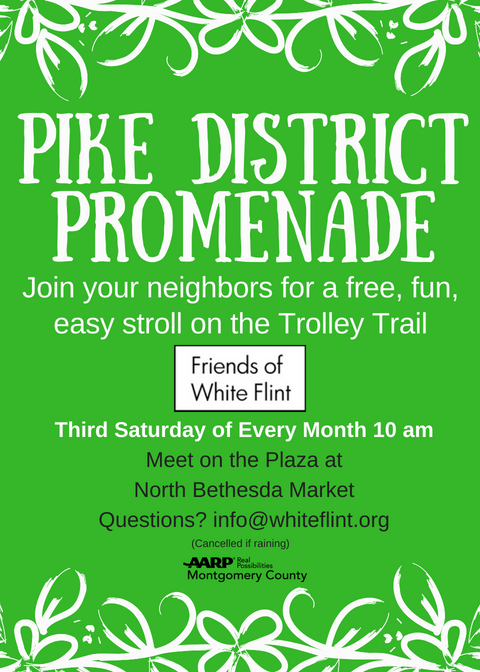 We meet at 10am April 20 at North Bethesda Market then take a walk along the wonderful Trolley Trail. Walk as long as you’d like as fast (or slow) as you’d like. This entry was posted in General and tagged Pike District Promenade. Bookmark the permalink.